What Could The Future Of Wagering On Racing Look Like? That's the question panelists at the Albany Law School's Saratoga Institute on Equine, Racing and Gaming Law tackled this week as they tried to combine international perspectives with the current American wagering landscape. Unsurprisingly, racing remains far behind other entertainment options in terms of adapting technology. John Hindman, general counsel for TVG, guessed racing is about five years behind other industries in its mobile adaptations because it waited about five years longer than other entertainment options to try it. In Haslett's view, the modern day consumer doesn't fit into this box because they don't have to. This had him rethink his presentation of data, which needs to be more easily digestible for someone at a quick glance. Racing also needs to be available to engage its customers 24 hours a day, which Haslett has sought to do by presenting handicapping information, news stories, and other multimedia content on Sky Racing media channels. Flexi-betting seems to be working well in Australian markets, per Haslett. Flexi-betting allows bettors to engage in multi-race wagers without the expense which comes with choosing multiple horses in each leg of the wager. 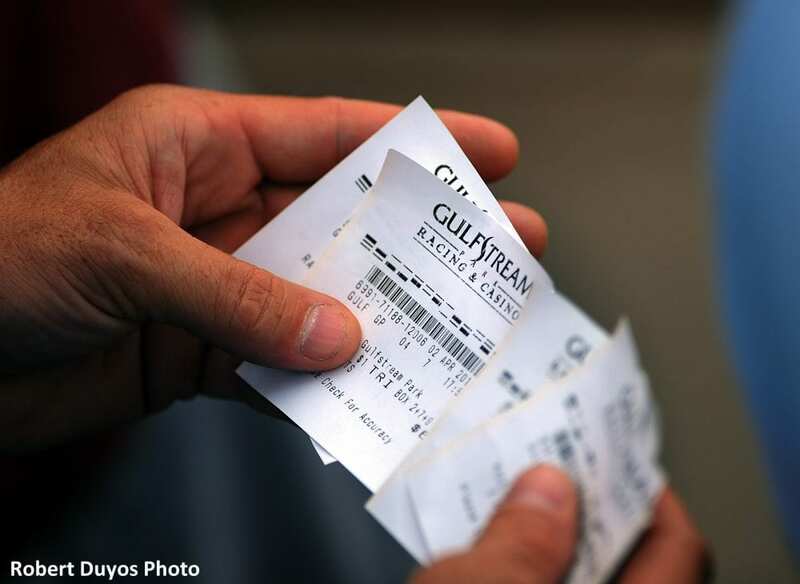 A customer can pick their horses, and if given a total ticket price of $100, could opt to put down a fraction of that—perhaps $50. That fraction will then be used to calculate the payout if the wager is successful. In the example wager, the customer will get 50 percent of the payout if the wager hits. This option seems to make entry into multi-race wagers more friendly for casual players or newcomers. Virtual racing has also been a success so far. Haslett said virtual racing, which includes races run by computerized horses every four minutes, can fill the gaps between live races or dark days. Virtual racing also has the advantage of not being subject to weather, post drag, or scratches. Lottery outlets in Maryland offer the chance to wager on virtual racing, where Haslett estimates it generates $170 million per year. There's more crossover between racing and sports betting, but we don't know if that's good or bad. Hindman said research by the network suggests it's unlikely an online casino customer is going to make the switch between digital poker and horse racing. There is more information to suggest sports betting customers are more similar to racing customers. Jack Jeziorski, counsel for Monarch Management, said he suspects that may not be a good thing. Horse racing and sports betting should be integrated together for maximum benefit to racing. Hindman points out in other countries where sports betting has been alive and well for some time, it's offered side by side with horse racing, which increases the odds someone may run across it and consider trying it. The edge horse racing has is the number of live events starting on a regular basis as compared to football or basketball games, which Hindman hopes will make it appealing to someone waiting for a ball game to finish up. “Because racing has more events per day than anything else, we think once those customers find horse racing, they'll love it,” said Hindman. This entry was posted in Horseplayers, NL Article and tagged albany law school, David Haslett, horseplayers, jack jeziorski, john hindman, monarch management, Saratoga Institute on Equine Racing and Gaming Law, sky racing world, sports betting, tvg by Natalie Voss. Bookmark the permalink.